Up until 2003, today’s HafenCity was a big blank spot on Hamburg’s cultural map: free-port status and the Port Development Act prohibited any type of usage that was unrelated to port activities. Art and culture therefore only gradually found a place here. But in the meantime cultural and artistic uses have become an important driving force in the district’s development. The decision to maintain structures typical of a port wherever possible predestined HafenCity for culture: the historic harbor basins and quay walls, cranes and warehouses were restored, creating new settings for art and culture, including large cultural institutions such as the Elbphilharmonie Concert Hall and the International Maritime Museum Hamburg which is already open. 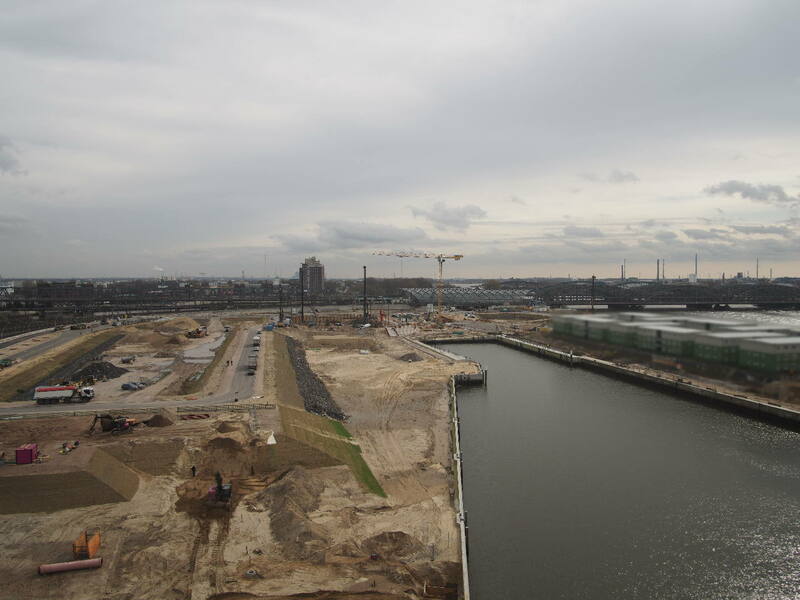 Initially mainly cleared sites were made available only temporarily, but now a permanent arts and creative quarter is to be developed on the southern bank of Oberhafen. The needs of culture and the arts are also always taken into account in the design of open spaces. Meanwhile, HafenCity has become a popular venue for events of nearly every size, from small, spontaneous street-art performance, through to a major literary festival. Over time, a variety of cooperative and organizational structures have evolved continually. In addition to initiatives such as Musical LandArt, a cooperation between the Hamburg Arts Foundation, Körber Foundation and HafenCity Hamburg GmbH to launch an artists’ competition in 2004/2005 was an important landmark of HafenCity’s cultural development. Later came theater perforamcences, including specially conceived summer programs by the Thalia Theater. The important cooperation also promotes new projects in HafenCity. Three cultural scene institutions were won over: Kampnagel, the Hamburg Kunstverein and the Deichtorhallen, which have been initiating art projects since 2011, driving the debate on the possibilities of social coexistence and constituting a new urban public sphere in HafenCity. HafenCity is already on the map for many recurring events as a venue or performance location. The Long Night of the Museums, Hamburg Architecture Summer, the Harbour Front literary festival, the Elbjazz festival, the Extreme Weather Congress – the list of events is a long one. The squares and promenades of HafenCity frequently serve as open air stages, auditoria or dance floors. Particularly popular with visitors and residents alike is the annual Summer in HafenCity, with open-air tango and swing, evening readings in a maritime atmosphere, children’s building sites and lots more. With their joint “Der Montag an der Spitze” series of talks, Spiegel publishing and the Körber Foundation invite the public regularly to experience important guests in discussion in HafenCity. Many participants and events are directed by the Cultural Coordination Committee of HafenCity, set up in May 2005 by the Ministry of Culture. Since then HafenCity Hamburg GmbH representatives have met regularly to promote the cultural development of HafenCity. The committee also develops concepts, assuming a share of the responsibility for developing HafenCity’s cultural life.